Girik are the first to take up this opportunity for preparing ETO officer in the field of electrical and electronics for clearing their CoC EXAMS. A deep knowledge of about circuits and electrical components needs to be there Our faculties tirelessly ensure all the latest questions from DGS Surveyors are discussed & answered correctly. Our concise curriculum ensures all the parts are covered properly. The topics are handled from DGS Exams point of view. We believe in one to one interaction hence, We have a sterling track record of more than 95% success rates in last two years. GIRIK ETO Preparatory Classes assists, prepares and makes sure that you clear your ETO COC examinations. The main goal of the Girik institute is to reduce time by guiding the candidates in rightful direction to get through their MEO CL-IV COC. We have excellent faculties of engineers who gives good understanding of basic engineering knowledge form the DGS point of views. The fully air conditioned class rooms with animation video to gain you more confidence. We are proud to announce that GIRIK institute of maritime studies is one the leading institute which combines teaching with technology so the candidates gets best of guidance and knowledge to pass competency Exam. Our syllabus covers entire content from Examination point of view. Bridge Equipment & Watch Keeping. Ship Construction, Stability, Ship Safety & Environment Protection. 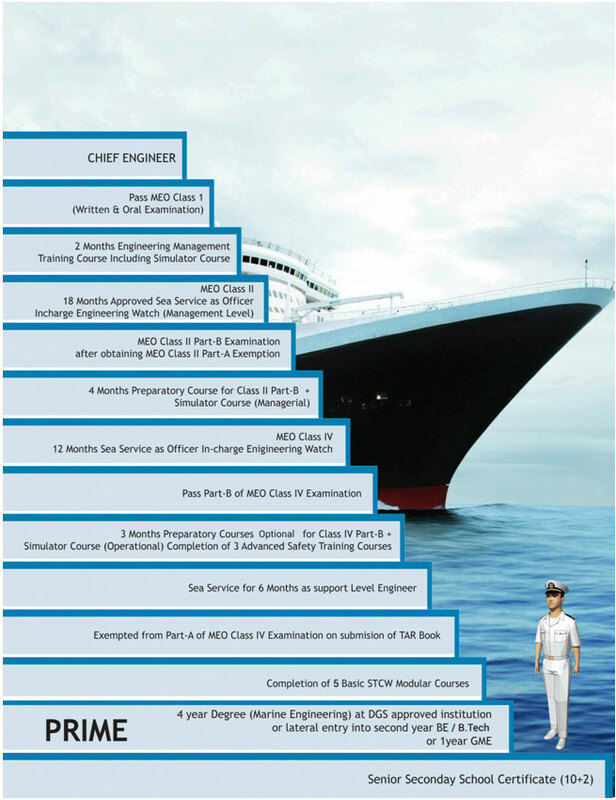 The objectives of this course are to prepare a student to appear for the examinations of Phase I & II of the Certificate of Competency as 2nd / Chief Mate of a Foreign going Ship. We have excellent faculties and proper classroom to gave good command on your subject and clear your doubts. “The Best Preparation for Tomorrow is doing your best today”.